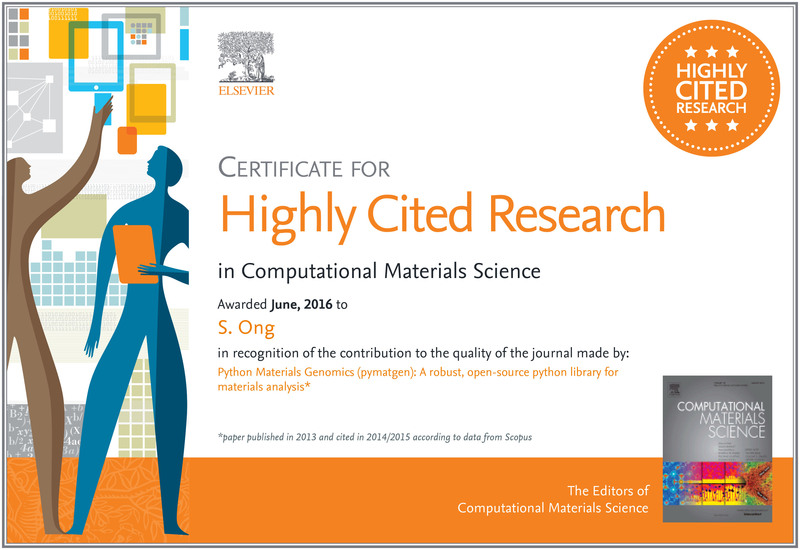 Prof Ong’s paper “Python Materials Genomics (pymatgen): A robust, open-source python library for materials analysis” are among the top 3 most cited papers in the journal Computational Materials Science since 2011. Check out the paper and find out how the open-source pymatgen library can help accelerate your research today! 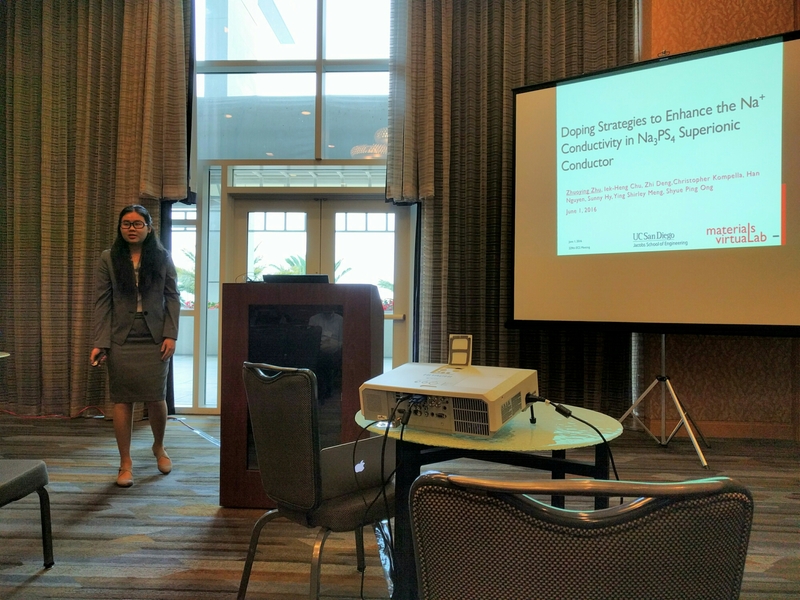 Some pictures of Iek-Heng and Zhuoying giving their first MAVRL talks at the 229th ECS Meetng.